Esquire. Ford Motors. Burton Snowboards. The Obama Administration. 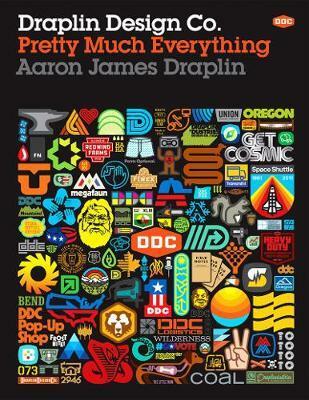 While all of these brands are vastly different, they share at least one thing in com­mon: a teeny, little bit of Aaron James Draplin. Draplin is one of the new school of influential graphic designers who combine the power of design, social media, entrepreneurship, and DIY aesthetic to create a successful business and way of life. Pretty Much Everything is a mid-career survey of work, case studies, inspiration, road stories, lists, maps, how-tos, and advice. It includes examples of his work--posters, record covers, logos--and presents the process behind his design with projects like Field Notes and the "Things We Love" State Posters. Draplin also offers valuable advice and hilarious commentary that illustrates how much more goes into design than just what appears on the page. With Draplin's humor and pointed observations on the contemporary design scene, Draplin Design Co. is the complete package for the new generation of designers.